Feel the burn of magnetic resistance from the comfort of your own home with the Fortis Magnetic Flywheel Spin Bike – the perfect cardio workout to smash your fitness goals. 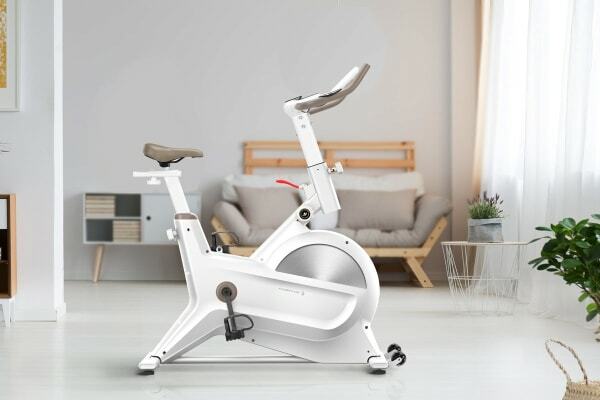 Using innovative magnetic resistance technology, the Fortis Magnetic Flywheel Spin Bike can reproduce the resistance of a traditional 18kg friction flywheel, giving you a full gym-grade resistance workout from your own lounge room. Resistance training helps to build strength, anaerobic endurance and muscle growth. 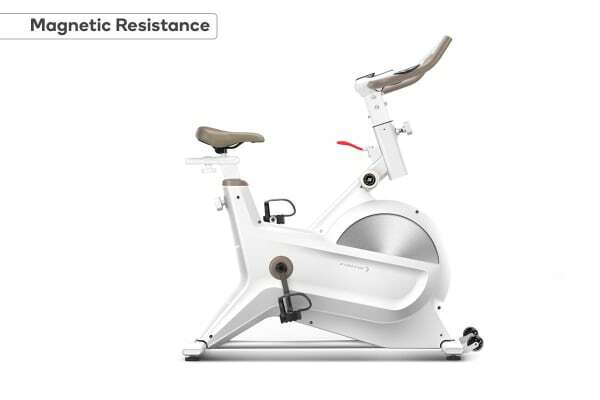 Unlike traditional friction spin bikes, magnetic resistance bikes provide quicker, easier and more reliable changes to resistance levels, giving you better control over your workout. A more regulated resistance workout can help the body to burn higher calorie counts and form leaner muscle mass. Traditional friction flywheel pads can disintegrate over time, leading to all kinds of issues. The Fortis Magnetic Flywheel Spin Bike is much more durable, ensuring a smooth, reliable workout for years to come. Up the intensity from session to session in just the twist of a knob with the adjustable 8 level resistance system, helping to maximise your cardio training and burn higher levels of body fat. 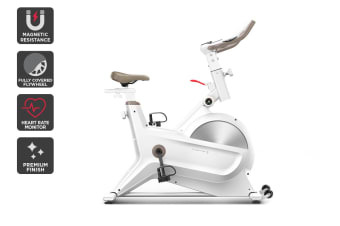 The bike comes fully equipped with quality felt emergency brake systems, an integrated computer to monitor your fitness journey and low-noise belt transmission so you don’t have to crank up the volume while you’re sweating it out in front of the TV!